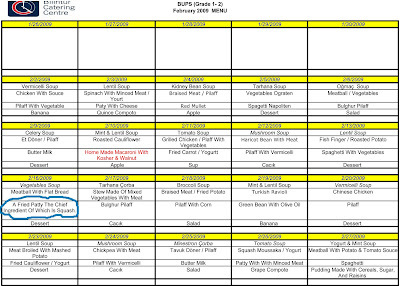 Our school lunch menu from last month with the high point circled. This is some fine cuisine folks. Makes my mouth water just thinking about the gastronomic treats March will bring. (You'll have to click on the menu to make it bigger).